The best known insect viruses cause the formation of inclusions in the cells they infect. They were first observed in the mid-nineteenth century and since then have received considerable attention from entomologists and microbiologists. 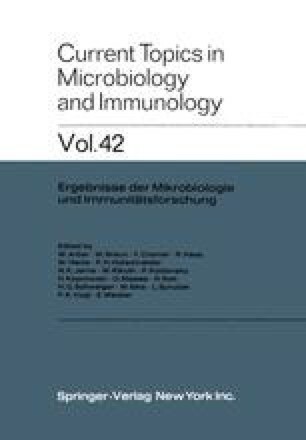 In recent years, several authors have reviewed studies on this group of viruses (Bergold, 1958; Aizawa, 1963; Smith, 1963; Huger, 1963) and the present review will be concerned more specifically with structure and chemistry, the infection process, quantitative virus-host relationships and the natural occurrence of viruses in their host populations. The nuclear-polyhedroses of Lepidoptera and Hymenoptera (Sawflies), the cytoplasmic polyhedroses of Lepidoptera and the granuloses of Lepidoptera are discussed in detail.